The growth in hourly earnings appears to have slightly outpaced the food, housing, and the average for all items. 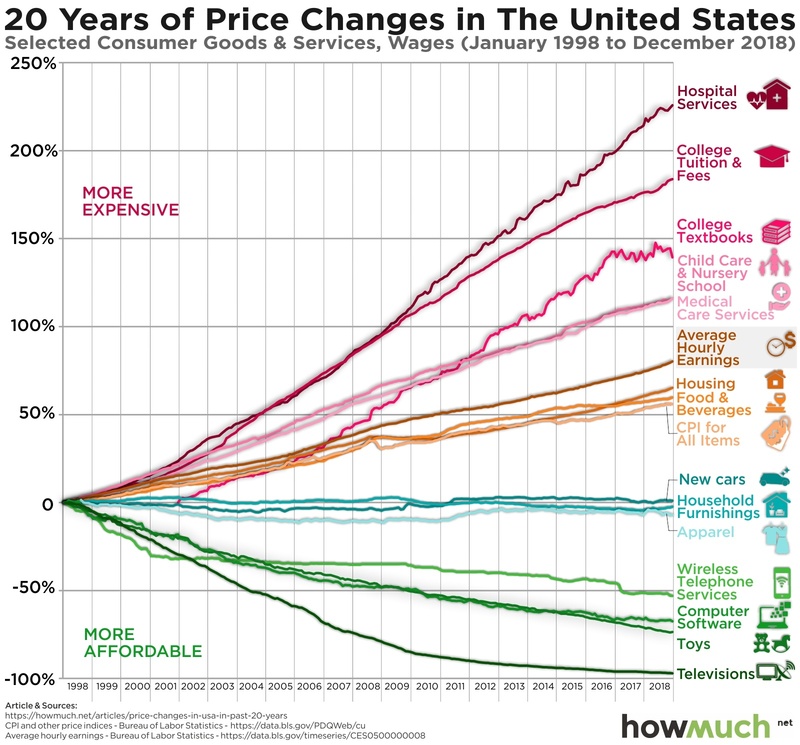 College-related item costs are stratospheric because Big Government is giving out too many student loans like candy (making student loans dischargeable in bankruptcy might help...) A similar phenomenon is likely going on with healthcare. Does the "College tuition and fees" line take into account the difference between "sticker price" and "actual price"?